This is another car that I worked on during one of my trips up to norcal/bay area to do vinyl wraps. I really like the way this car turned out. 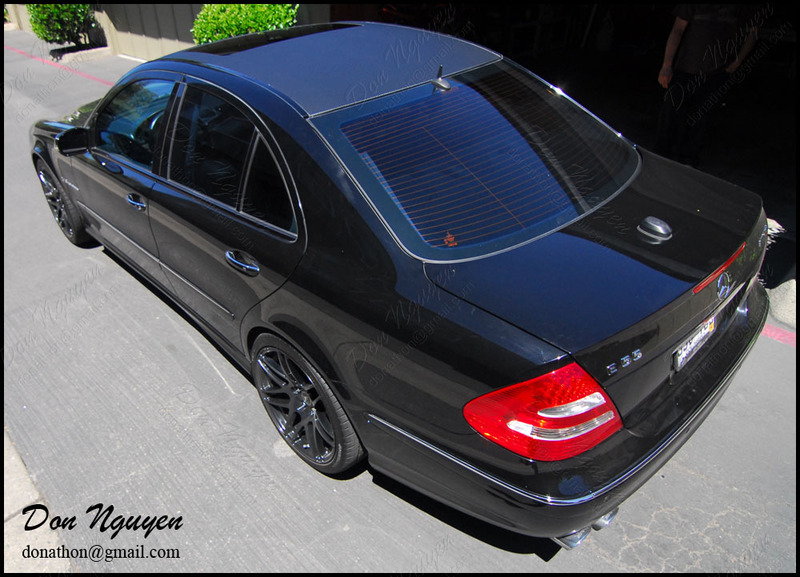 It's not often that a black car has me vinyl wrap their roof, but the owner of this black Mercedes Benz E55 AMG had me vinyl wrap his roof with the 3M di-noc matte carbon fiber finish vinyl material. The final result and effect is as you can see below. The matte/carbon finish roof really gives the car some more character in my opinion.